As we make our home in the desert it is painfully clear to me as I hike, suited up with bottles of water and protective sun gear, that I will never be at home in the desert, not like they are, the animals who live here. This black-tailed jackrabbit can leap 5 or 10 feet at a time and reach speeds up to 40 mph, but on this morning it casually sauntered off into its desert home. 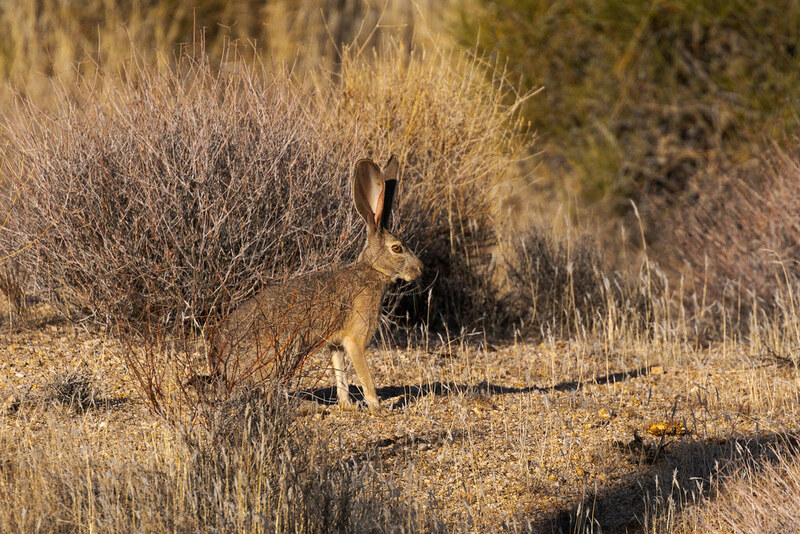 This entry was posted in Mammals and tagged Arizona, black-tailed jackrabbit, Brown's Ranch, desert, hare, McDowell Sonoran Preserve, Scottsdale, sitting, Sonoran Desert. Bookmark the permalink.